Call Us Today For a Better Look Tomorrow! FREE ESTIMATES!! 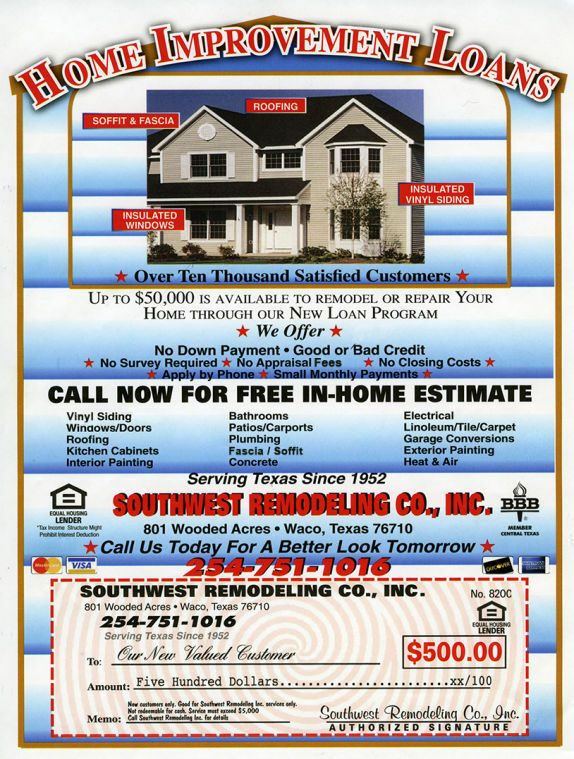 Since 1952 Southwest Remodeling Co. Inc. has been remodeling and improving homes in the Central Texas area. We have over 10,000 satisfied customers simply because we care about them. S.W. Remodeling offers loans for home improvement of up to $50,000. We are here to help! Call us today for a better look tomorrow! Credit is accepted good or bad.